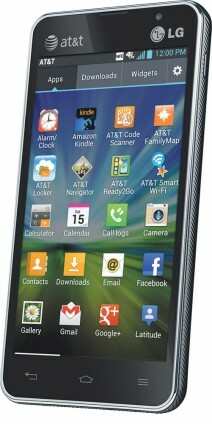 AT&T today announced the LG Escape, a new LTE 4G Android smartphone that costs $49.99. The Escape runs Android 4.0 Ice Cream Sandwich and features a 4.3-inch IPS LCD display with 540 x 960 pixels. The Escape comes with a 5-megapixel main camera with 1080p HD video capture and a 1.3-megapixel user-facing camera; LG's QuickMemo application; near-field communications; a 1.2GHz dual-core processor; 4GB of internal storage; and support for microSD cards up to 32GB. The LG Escape will be available online and in stores starting September 16.